Home Singapore World Child Killer To Be Set Free! So Gut Wrenching! Child Killer To Be Set Free! So Gut Wrenching! I have been looking at the photographs of a dear little girl, 2-year and 4-month old Sri Alyaniz Nazri, and my mind has been left numb (pictorial below). The torture that this sadistic 30-year old Singapore permanent resident inflicted upon such an innocent child is unthinkable. As I wipe the tears away, I cannot begin to understand the suffering that Sri Alyaniz suffered - it must have been absolutely hell on earth! Furthermore, I am completely bewildered as to why, when we live in such an otherwise strict society (that is the reason behind one of the safest countries and lowest crime rates in the world) how the criminal justice system can allow a violent predator such as Mohd Azhar Ghapar to ever walk the streets again as an innocent man... walking amongst other potential young, carefree and innocent victims. The methodical attacks, beatings and downright sickening behaviour of this animal over a 3-week period culminated with a headbutt that ended Sri Alyaniz's life as a result of traumatic brain injuries. The punishment? - 12-years jail and 12 strokes of the cane! WTH!!!?? According to 30-year Mohd Azhar Ghapar, each time he was doing housework, the little girl would vomit or mess up the place, causing him to fly into fits of violent rage. The girl was his girlfriend's daughter - he would often pinch her on her ears or cheeks, or grip her arms tight and fling her onto a mattress. He admitted to twice head-butting the helpless child. He also punched her and stepped on her stomach. The autopsy report showed that along with the fatal injuries, she was also suffering from two broken ribs, numerous bruises all over her body and bleeding inside her skull. Instead of being convicted of murder (of the cruelest kind) and strung up, Mohd Azhar Ghapar had pleaded guilty to two counts of "voluntarily causing grievous hurt" and three counts of "ill-treatment of a child". 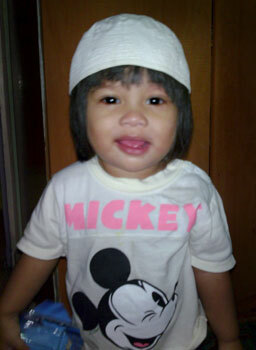 Remember this name, and remember it well - Mohd Azhar Ghapar !!! 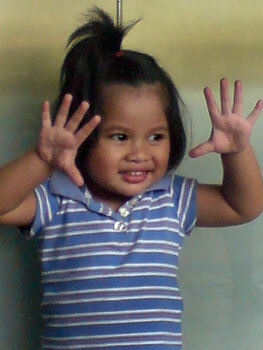 The series of abuses that ended in the girl's death began on Sept 23, 2009. There were 11 such incidents including the last assault on Oct 10. 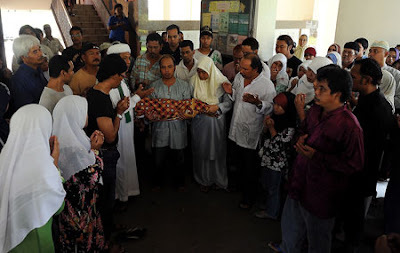 Deputy Public Prosecutor (DPP) Gail Wong told the court that Mohd Azhar had been in a relationship with the child's mother, Ms Siti Junaina, 30, since early 2008. On Sept 20, Ms Siti, a sales assistant, asked Mohd Azhar to help her look after Sri Alyaniz while she went to work. She was working the afternoon shift at the time. Mohd Azhar, who had recently been retrenched, agreed. He started taking care of the girl from Sept 23. During this period, he also cooked and did some household chores for his girlfriend. He would sometimes take Sri Alyaniz to his flat at Petir Road in the mornings so that his mother could help to take care of the child. Then, in the afternoons, he would take her back to Ms Siti's flat at Block 126, Pending Road. On Sept 27, after Mohd Azhar had finished doing housework at the flat, Sri Alyaniz vomited in the living room. According to court papers, Mohd Azhar gripped her upper arms and shook them twice while he said: "Uncle is tired, right." Then, he cleaned her up and took her to a bedroom where he applied ointment on her stomach. When she threw up again, he snapped. He punched her in the abdomen, causing her to groan in pain. He then gripped her thighs hard and told her to sit on the sofa quietly. When she stood up, he knelt down, gripped her upper arms, lifted her and threw her onto the mattress. As she cried, he pinched her arms. Later that evening, Ms Siti noticed the blue-black marks on her daughter's upper arms and thighs and questioned him about it. He lied and said he had beaten the child softly. Three days later, while sweeping the floor, he saw that Sri Alyaniz had dropped a cracker he had given her onto the floor. He pinched the child's right ear and she made what court papers described as a "hek" sound. On Oct 6, angered by Ms Siti's request that he put on a change of clothes for Sri Alyaniz, he pinched the child's stomach while putting on the clothes. The abuse would get worse from here on. On Oct 8, the girl vomited while playing with her bicycle in the living room. Mohd Azhar then pinched her cheeks. After cleaning up the mess, Mohd Azhar took the girl to a bedroom, knelt down and headbutted the left side of her forehead. There was a sound, and the girl fell onto a mattress. 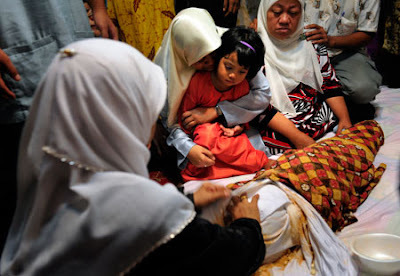 While she cried, Mohd Azhar stepped on her stomach. Then he pulled her left hand, walked with her towards the living roomand smackedthe right side of her head. He again lied to Ms Siti when she asked about her daughter's injury. He said the swelling on the girl's left foreheadwas the result of a fall from her bicycle. That night, Sri Alyaniz had a high fever and vomited again. The next day, when she threw up in the living room, Mohd Azhar slapped her on the left side of her head, causing her to cry in pain. On Oct 10, Sri Alyaniz was playing in the flat and creating a mess. Mohd Azhar slapped her once on the left and once on the right cheek and hit the left side of her face. Hethen fed her some medicine for her fever. But she vomited it out. That was when he head-butted her on the same spot on her head as he had done two days earlier. There was a sound upon contact and the girl again made a "hek" sound. About five minutes later, noticing that she was moving her hands and legs and biting her tongue, he thought she was having a fit. He called Ms Siti. 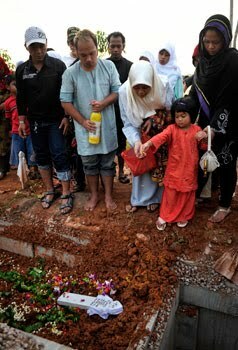 Ms Siti's father also arrived with her. The child was then lying on a mattress in the living room in a drowsy and unresponsive state. Ms Siti tried to wake her daughter up, but could not. Mohd Azhar went to a nearby Singapore Civil Defence Force fire post to seek help. An ambulance arrived and took the girl to the National University Hospital. Medical staff there suspected that her injuries were non-accidental and alerted the police the next day. Mohd Azhar was arrested on Oct 12. Meanwhile, doctors at the hospital operated on Sri Alyaniz twice. But her prognosis remained grave. 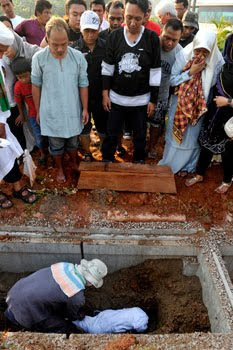 Two days later, following a discussion with the doctors, Ms Siti and her ex-husband, Sri Alyaniz' father, decided to take the girl off life support. She died that night. In his mitigation, Mohd Azhar's lawyer, Mr S. S. Dhillon, said his client had been planning to marry Ms Siti in mid-2010 and had treated Sri Alyaniz as his owndaughter. He did not realise that his assaults would lead to her death and he was"personally traumatised" by it. The lawyer said the abusive acts took place on the spur of the moment when Mohd Azhar lost his temper, and he had meant to "chastise her to keep the place tidy". Mohd Azhar was also feeling tired from doing the housework and was stressed thinking about his problems when he assaulted the child. He had lost his job as a chef at a Brazilian restaurant about a week before he started taking care of her and was stressed about being unable to find another job. But DPP Wong said that even if he had been tired and frustrated, there was no valid reason for him to vent it on a helpless child, who was so young that she "would not have been able to describe fully the assaults against her". 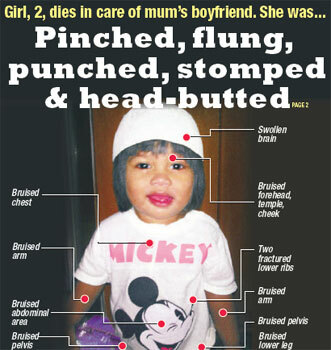 She added that Mohd Azhar had treated the girl "in a particularly cruel manner", using "his own adult skull as a weapon to headbutt (her) much smaller skull". And he had done it twice, on the same spot. What he did was sadistic and not on impulse, she said. And the frequency and degree of violence had escalated over time. It gets to me that Singapore's legal system metes out such inconsistent punishments. 12 years and 12 strokes for this guy, but mandatory death penalty for a underprivileged drug mule who had 47g of heroin at the age of 19? It doesn't compute.